to Create an Exciting Curriculum on Aquamarine Life! There is something VERY exciting happening between homeschoolers and Dolphin Tale 2! With the help of Warner Brothers, homeschoolers will now have a aquamarine site of their very own dedicated to teaching them about the mysterious and cool adventures going on in the Aquamarine world. The Home School Movie Club, with the help of marine biologist Sheri Seligson (Marine Biologist and author of Apologia’s Marine Biology Curriculum), have created a special Dolphin Tale 2 curriculum for homeschoolers to continue to explore the ocean and the many creatures that reside therein. The curriculum is written for multiple ages with something for everyone in the family! From preschool activity/coloring/matching pages, through elementary school, and even additional assignments for upper grades! All of the homeschooler aquamarine curriclcum will be availalable on the official Home School Dolphin Tale 2 website, which officially re-launches August 18th! Just click here: homeschoolmovieclub.com This is a perfect way for your readership’s little ones to get geared up for the movie! The relationship between homeschoolers and the Dolphin Tale 2 movie is so great that Home School Day has been set as the same date as the theatrical release of the film: September 12th. 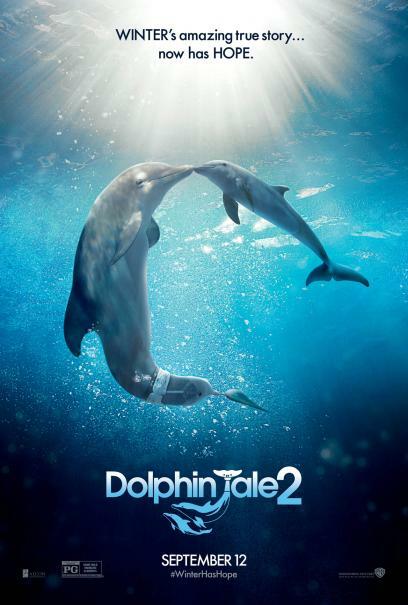 This is such an exciting time and if it wasn’t known before, it is quite apparent now that homeschoolers rule Dolphin Tale 2! They ARE the unofficial as well as official Dolphin Tale 2 fan club! Get your readers’ homeschoolers signed up for the curriculum today! Featuring DT2 stars Nathan Gamble & Cozi Zuehlsdorff: Both Christian HOMESCHOOLERS!